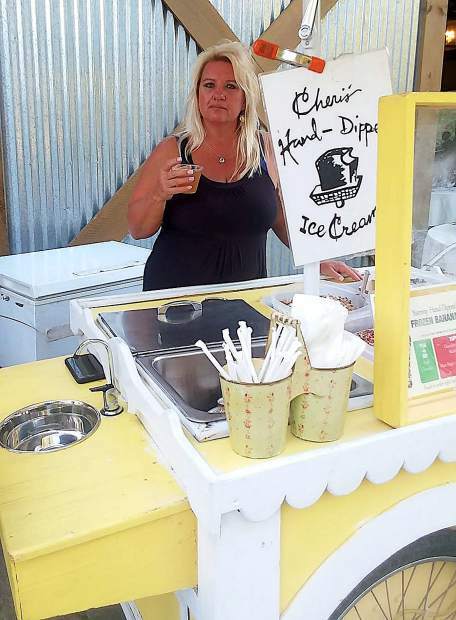 Cheri Snook's vintage ice cream cart was stolen in Nevada City, but recovered a few days later. The mysterious theft of her vintage ice cream cart from downtown Nevada City had Cheri Snook angry and amused, in equal measures. But now that it has been located, in a county maintenance yard, she is mostly relieved. The cart is used by Snook for her business, Cheri’s Hand-Dipped Ice Cream, and travels between Tahoe and Nevada City, often making appearances at special events and festivals. Snook said the cart originally was a Tahoe Tessie hot dog cart used in Kings Beach, and she adapted it to sell ice cream. “It’s a piece of history, made in Tahoe,” she said. Snook had left the distinctive yellow and white cart parked at the Miners Foundry for her crew to use during the Hungry Games fundraiser March 10. That night, it was parked in a tucked-away location, covered and a lock placed on the wheels. Turns out, Snook’s faith — or maybe her fans’ desire for her frozen treats — prevailed. Snook credited two separate tipsters, Claire Chappel and Robyn Salisbury, for spotting the cart, saying they will both receive free ice cream for a year. Republican Rex Hime raised the most money in the last reporting period before the District 1 state Senate race, according to campaign disclosures. Hime raised $155,979 between Feb. 10 and March 9 — the last reporting period in advance of the March 26 special election for the state Senate seat. Republican Assemblyman Brian Dahle, whose district includes Nevada County, is a close second with $153,067. Assemblyman Kevin Kiley, the District 6 Republican, came in third with $83,011.87. Republican Theodore Dziuba garnered $28,487.30 during the reporting period. Democrat Silke Pflueger raised $19,150. The five candidates are running for a seat vacated by former state Sen. Ted Gaines, who left office after winning a spot on the state Board of Equalization. As part of the regional transportation planning process, the Nevada County Transportation Commission, in coordination with the County of Nevada, City of Grass Valley, City of Nevada City, and Town of Truckee, contracted with the consulting firm Fehr & Peers to prepare an Active Transportation Plan covering Nevada County, according to a release. The plan combines previous bicycle and pedestrian planning efforts, evaluates needs, identifies projects and recommends prioritization. Completion of the study will provide information and analysis required by the California Transportation Commission’s state funding guidelines and assist local agency efforts to secure grant funding for bicycle and pedestrian projects. Fehr & Peers has prepared the Draft Nevada County plan, which incorporates previous bicycle and pedestrian planning efforts and the input received through the public participation process. 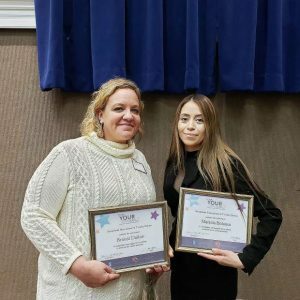 Previous public participation efforts included local outreach at local farmers markets and street fairs, an online crowd source interactive mapping and comment tool, and public workshops held at the Grass Valley City Hall and Truckee Town Hall. The plan is available for review on the Nevada County Transportation Commission website and at SierraSun.com. 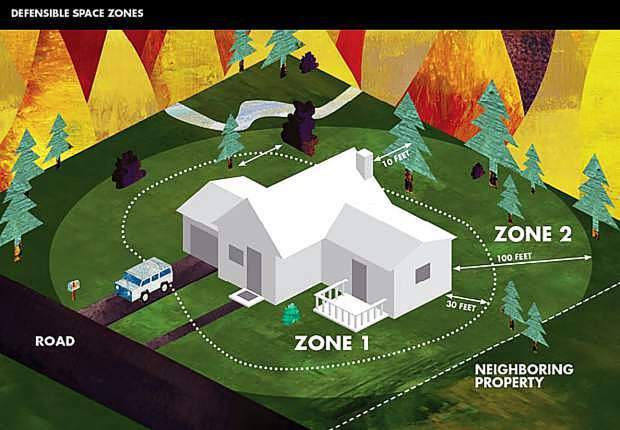 The plan is available for review and comment through April 15, 2019. Any comments received will be considered for incorporation into the final report that will be presented for adoption at the May 15 meeting. The Truckee Donner Land Trust has announced Kate Frankfurt as its new development director, and Sidney Scott as a new board member. Frankfurt joins the Land Trust as the organization joins forces with Squaw Valley Public Service District on the acquisition of Olympic Meadow, a 30-acre property in the heart of Olympic Valley. According to a news release, Frankfurt brings a diverse background and successful track record to the role with the Land Trust. Scott, her husband and two kids have lived in the Truckee area since 2004, and on Donner Summit since 2012, climbing and skiing the lands preserved by the Land Trust. Frankfurt steps in for former Development Director Kathy Englar. Also retiring from the board of directors are Anne Chadwick, Tom Van Berkem and Jim Hoelter, all of whom played vital roles in the growth and strength of the Land Trust. The Land Trust has protected more than 36,000 acres of open space in the Truckee-Donner region, preserving their natural resources for future generations and opening them to the public for recreation. Much of this work is funded by private fundraising – the generous contributions of donors who value the unique landscapes of the Northern Sierra. Residents, business owners and visitors to the North Lake Tahoe region are invited to a second public workshop 6 p.m. April 11 at North Tahoe Event Center, 8318 N Lake Blvd., Kings Beach, to learn about and provide input on Placer County’s draft Transportation Demand Management Strategies proposal. The county is in the process of developing strategies to implement transportation-related goals and policies adopted in the Placer County Tahoe Area Basin Plan. Placer County staff, along with representatives from the consulting firm of Nelson Nygaard, will provide a detailed presentation of strategies recommended in the draft document; including transit services and amenity enhancements, parking management initiatives, active transportation facilities and maintenance and improved access to alternative transportation information and services. 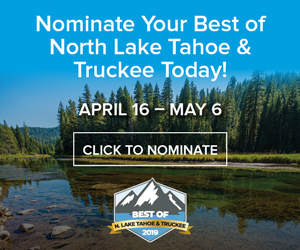 The workshop will be held at a meeting of the North Tahoe Regional Advisory Council, which will be asked to vote on whether to recommend approval for the draft Transportation Demand Management strategies. Consideration of the final TDM strategies by the county Board of Supervisors is expected to take place later this spring.